Note: The term ‘Etsy’ is a trademark of Etsy, Inc. This application uses the Etsy API but is not endorsed or certified by Etsy, Inc.
With more than 34 million buyers and sales worth more than 3.25 billion US dollars in 2017, Etsy doesn’t really need any kind of introduction – it is THE place to sell your art. However, having 1.9 million active competitors can be tough, so you need any help you can get to make your products stand out from the crowd. The good news is that there are loads of apps that are designed for the specific purpose to help you manage and promote your Etsy shop. 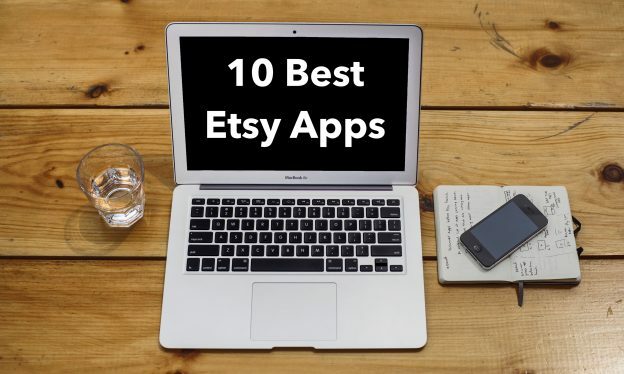 To save you some precious time, we’ve sorted through them and compiled a list of 10 Etsy apps for sellers that will help your products get noticed. I don’t think I’m going to surprise anyone by saying that social media presence is essential to generate sales. The goal of Around.io is to make the process of managing social media accounts quick and painless. You can connect your store with up to five social media platforms (including Facebook, Instagram, Twitter, Pinterest, Tumblr, and others) and create posts directly in the app. The best part is that all your products are imported from your shop, so with just a couple of clicks you can promote any of your Etsy listings in the social media channel of your choice. It can take as little as 5 minutes to schedule posts for the day, and 10 minutes to fill your schedule for the whole week. Price: Try Around.io free for 7 days. If everything’s up to your standards, Around.io has two plans with different features – Basic Social ($14.99/month) or Advanced Social ($29.99/month). People are liking your products on Etsy, but the sales just aren’t coming through? Perhaps it’s time to work on your email marketing! 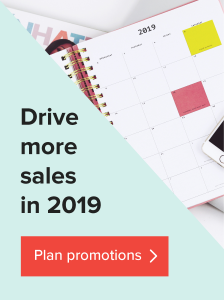 Newsletters are still the best way to convert potential customers into buyers, and the Mad Mimi app makes sure that sending out emails doesn’t become a dreaded chore. The Mad Mimi integration with Etsy allows you to drag and drop product images and descriptions directly into your newsletter, which you can later send out to your mailing list. And after the email campaign has gone out, the app generates data about opens, clicks, and engagement, so your newsletters can get better and better with each time. Price: Pricing starts from $10.00/month, and depends on your email list size. There’s a reason why Etsy has so many articles on shop improvement with the help of SEO – keywords matter. When used correctly, SEO can turn your store around, and Marmalead is the tool you need to be an SEO star. The app finds the keywords real shoppers use to find listings similar to yours. You can also check out real search volume and keyword engagement, as well as see market-based pricing and how many days it usually takes to ship a product. By applying all this data to your product descriptions, buyers will find your shop with no problems. Price: Entrepreneur plan costs $19/month. When you have your descriptions all ready to go, why not do the same with product photos? Whatify lets you understand which product photos attract the most customers, so you can make your shop even more accessible. The app uses a simple A/B testing system. You select the listings you want to test, and for the next 4 weeks, Whatify alternates between the first two pictures of the listing, taking into account variables that could affect the test. This way when you get the test results and recommendations, you can be sure they’re reliable. Price: Subscriptions range from $5/month to $30/month, and the pricing is based on the size and income of your shop. Word of mouth is still one of the most effective ways to get new customers. Personal recommendation from someone you trust can have a bigger effect on your sales numbers than any marketing campaign you might come up with. That’s why affiliate marketing is something you should definitely consider! LeadyDyno lets you set up a customizable affiliate sign up page that you can share with your potential affiliates. When affiliates register with you, they’ll get an automated email with all the info they need to start spreading the word. After referrals start rolling in, paying commissions is simple with PayPal or Dwolla. Price: You can try LeadDyno for free for 30 days. Their subscription plans start from $49/month. 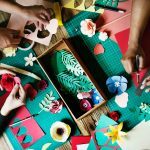 To get more exposure for their products, Etsy users often sell on other ecommerce platforms as well. The more, the merrier, but juggling several stores can be difficult. That’s why Neatly is here – to save time you might otherwise spend on analyzing your data, and to let you start growing your business instead. Neatly has integrations not only with Etsy, but also such ecommerce giants as BigCommerce, Magento, Shopify, WooCommerce, Amazon Seller Central, and many others. You can gather all of your data (items ordered, tax paid, total revenue, etc.) from these platforms in one dashboard, where Neatly will provide you with the insights you need to reach new heights. Price: Neatly is completely free to use. Have you ever done something and later wished you could go back in time and change it? Well, Backtsy is your time machine whenever you feel that you’ve made a mistake on your Etsy shop. This app offers automatic backup and manual restore options for your shop. If there comes a time when you need to revert back to an older version of your shop (after the end of a holiday season, for example), you can easily do that without the hassle of redoing all your listings. 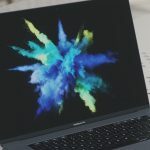 Price: Subscriptions start from $3.70/month, depending on how many backups per month you want to create. Seeing the geographic locations of your sales destinations isn’t just a fun thing to take a look at. It’s also social proof, since your customers can see the locations where your products have traveled. The best things in life are simple, so this app does just one thing. Once you authorize Etsy Sales Map to access your data, it creates a map showing the region where your customers are located. The map is updated every night, so you can always return to view your progress, or embed the map on your website or blog. Price: The first map is free of charge, and it’ll keep updating for a week. After that, new updates cost $5.00/year. But if you’re looking for a one-stop shop for all your needs, look no further because Seller Tools has just what you want! Seller Tools covers promotional activities (social media, coupons, sales events), marketing (niche research, market-based pricing research), and SEO (keyword research, position tracking, automated renewals). It also has several other tools, such as shop backup and a sales map generator that can help you run your shop. Price: Part of Seller Tools is free. Subscriptions start from $9.95 per month, depending on the features you want to use. The Printful app will let you completely automate your online store, so you can focus on designing and marketing. Put your designs on t-shirts, hoodies, dresses, leggings, pillows, mugs, posters and other products, and as soon as an order rolls in, we’ll prepare it and send out to the customer under your brand. Price: Printful’s integration is free to use. Check out the apps, make use of the free trials, and find out what works for your Etsy shop. And if you know an app that has helped you become an Etsy success, let us know in the comments! Etsy apps are basically used by the seller to make the good promotion of their products. Have always been notified about new updates from here and Gmail Support Canada. Hope to see more post in future days. 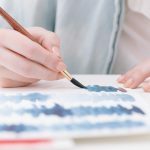 This article very helpful to increase my traffic on my etsy store. Thank you !!! Thanks for this great post. My Etsy store is only 5 months old and I hope this tools can make me a better seller.